Now we have to tell you, of all the collaborations we'd expect to hear about in 2014, this is one we would have never predicted. We've just received a press release from the Tommy Hilfiger girls notifying us that actress Zooey Deschanel has collaborated on a Tommy Hilfiger collection to be released this April. 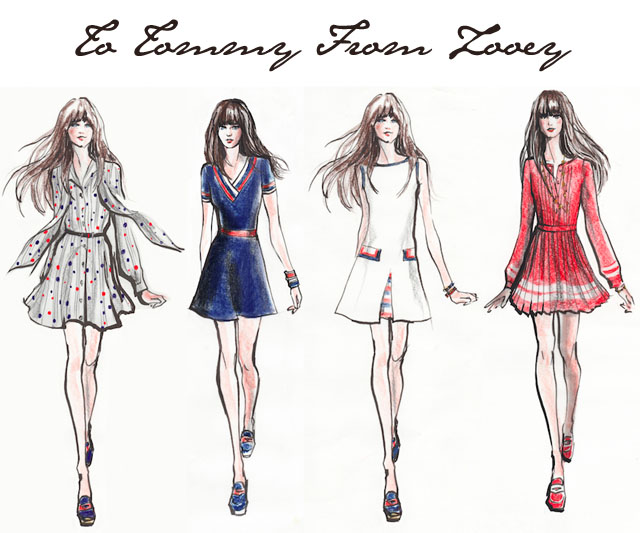 Titled ‘To Tommy from Zooey,' the collection uses the brand's signature colours and pairs them with a series of short and flirty dresses (perfect for Zooey's character on New Girl).